When we last left Amuntoth the Evil Necromancer he had just left the starting town, bound for the wide world. Also he plans to own it all. When we last left out hero he was just informed that killing off dozens and small elementals has lead to several of the larger elementals getting angry. These larger elementals are conveniently twenty feet away in a cave. As luck would have it though there are several things that need to be done in the cave including: kill elementals, pick up rocks and kill some more elementals. I also found a wanted poster for Ithari K’Xyrae, some Dark Elf that apparently did something wrong. Who cares? It’s time for pustules and pain! 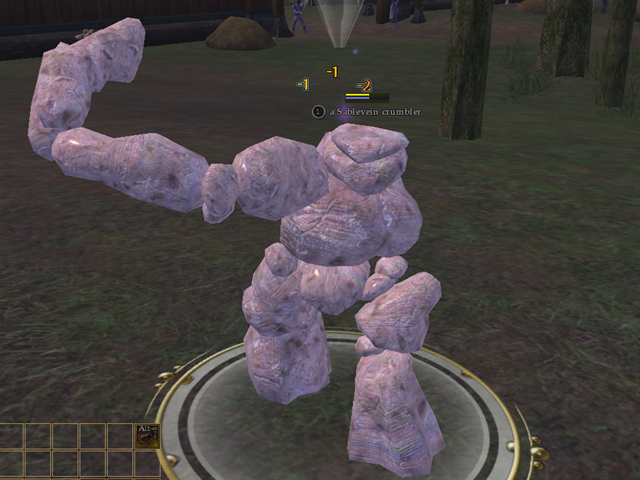 This is a rock elemental. 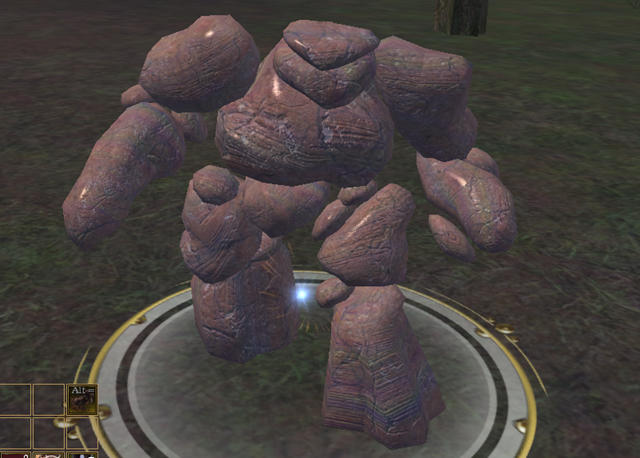 This is the same rock elemental. Here he has taken off his own arm and is beating me to death with it. Luckily the sound of my screaming is drown out by the horrible, wet crunchy sounds my face is making every time he hits me. At least no one can hear. I scrape through the fight and thankfully I feel like I have learned a lot from the encounter. Everquest II came out in November of 2004. At that time I was playing Final Fantasy XI and pretty much hating life. I went directly from FFXI to World of Warcraft in November of 2004 without even looking twice at Everquest II (See what I did there?). 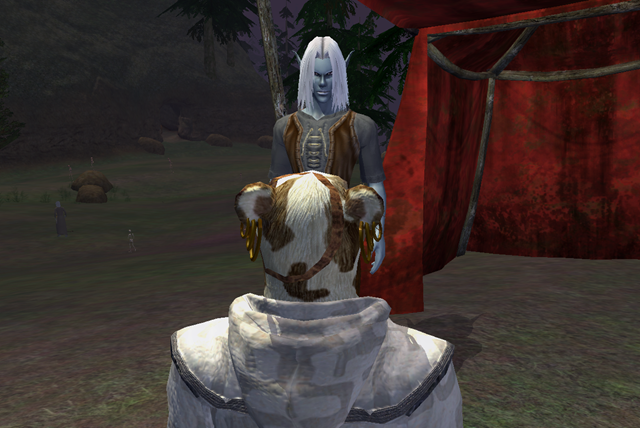 It really is a shame that I missed out on Everquest II the first time, or maybe it’s not and the game needed six years to improve, but I am going to correct that right now with this Let’s Play. I got the idea for doing a Let’s Play from Shamus over at Twenty Sided. If you enjoy my Let’s Play, or if you don’t, I highly encourage you to go read his Champions Online Let’s Play. From here on out it will be important to remember that regular text, the type you are reading right now, is going to be in character, kind of. Text inside a box like this is going to be out of character. I’ll use this to talk about bugs, odd game mechanics or something I really enjoyed. It didn’t take nearly as long as I thought it would to download Everquest II, only a couple of hours for a full download, which is great. I loaded it up started browsing through the races. 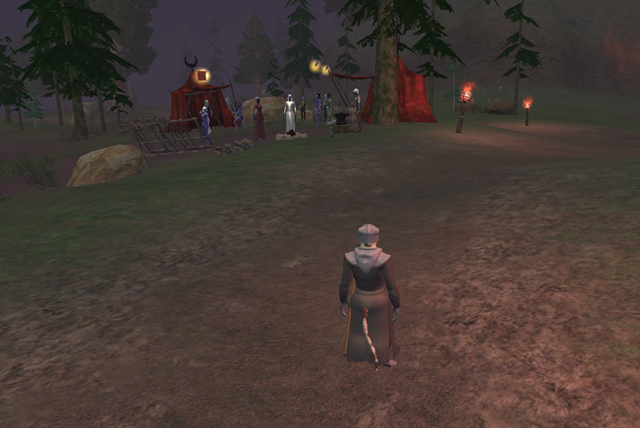 Of course I could go with typical fantasy mainstays like Dwarves or Elves but I could do that in practically any MMO. Troll would be interesting, definately not going fairy…BINGO! Ratonga! It is probably important at this point to tell everyone that I have a massive thing for rat people in anything. If your game has rat people in it I will play your game, at least for a little while. So I guess the next question is what class I should pick. I am Evil, not really by choice though. You see all Ratonga are evil and so, and since rat people are the only race anyone should ever pick, I am now evil. I might as well pick a class that is fittingly dark. Evil bard? Not for me. Druid? Not this time. Necromancer? Oh yeah, someone is getting a stiffy.